The International Water Security Network’s research project in Kisoro, Uganda, has been shortlisted as a finalist in the Internationalisation category of The Guardian University Awards 2019. This category recognises “an outstanding project, venture or collaboration that shows the university operating with global vision and ambition”. Our work in Kisoro is part of the UWE Global Water Security Programme which has, since 2013, sent UWE Bristol students to work with host organisations in seven countries around the world. During their field experience, students get an opportunity to blend applied research, development practice, and education in a context that has real benefits for the host communities as well as the students. One host community, Kisoro in remote southwestern Uganda, has a particularly proactive and visionary local leadership and invited us to establish a more enduring and multidimensional presence, focussing on getting the most out of rainwater harvesting techniques and technologies. Rainwater harvesting (RWH) has proved useful in addressing water insecurity at the household level – the tanks are relatively easy to build and can be commissioned relatively quickly. However, evidence of cracking and failing tanks meant RWH was not proving as effective as it should have been. Our research revealed critical failure in the curing of cement used and in their subsequent maintenance. Further work conducted in 2018 showed that there is also significant contamination, especially bacteriological, of the stored rainwater. This information is now being used to better manage the network of tanks in the district, directly improving the water security of the local community. 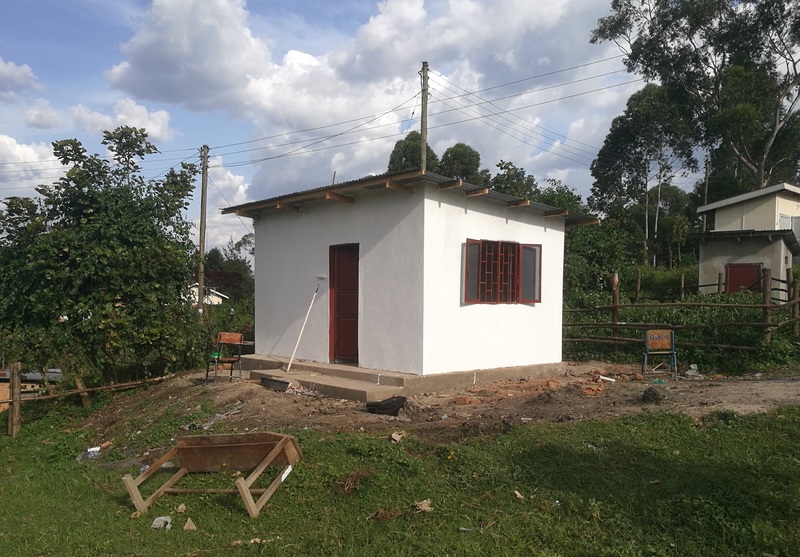 Thanks to funding from the University of the West of England, we have now constructed our own lab in Kisoro (see photo). This summer’s field trip will build on the research already undertaken, and expand into new areas, including the construction and commissioning of a gravity fed water supply system for a nearby community. This is one of four projects/initiatives based at UWE Bristol that has been shortlisted for the Guardian University Awards 2019 – more than any other university this year. The winners will be announced at a ceremony in London on 10 April.